TRTWNT is a board game with elements of FPShooters and RPG's. It relies on procedural generation in order to generate new experiences every time you play the game. Stats determine how the world and it's entities interact with the player. So I've been working on gameplay for about the past 2 days or so, and I've made a bit of progress. 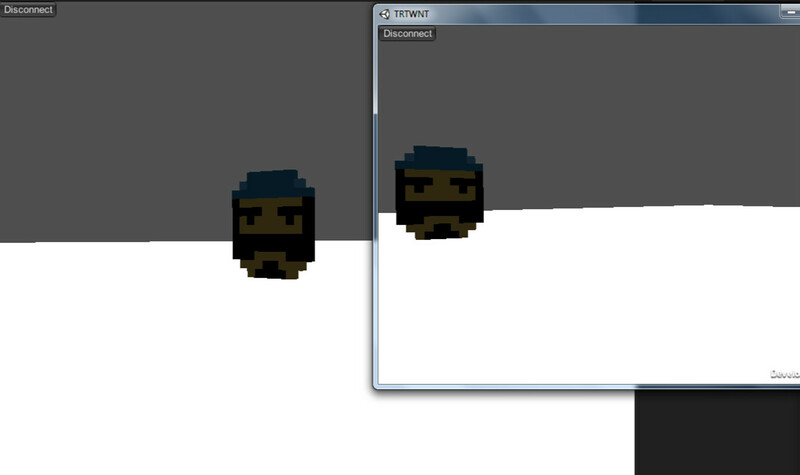 I'm currently working on multiplayer, and I'm adding 3D versions of the characters that I've already made to the game. Pixeling in 3D is way different than pixeling in 2D, so I'm currently experimenting around with adding depth to the 3D sprites. I get some lag, so I'll need to look into how to fix that... but other than that LAN works pretty good. I'll be working on WAN after I get LAN under my belt. and that is the end of 3 days worth of work. I'm probably going to be working on making the creation and joining of a server more seamless(er... what I mean by that is custom gui that matches the theme of my game). If you like what you see(please follow the project! ), or have some critique just leave a comment and I'll try my best to answer it. I like this game. Can you please provide more detailed explanation? Also, are you going to release playable version of pre alpha? Not dead! New team member @ultifinitus will be helping us out soon. We made a to-do list Trello.com #indiegames #gamedev #boardgames ! @trello is great for managing projects.